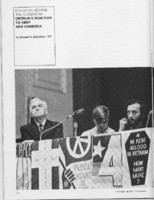 Article by Stewart I. Edelstein, "Oberlin's Reaction to Kent and Cambodia," in the Oberlin Alumni Magazine, August 1970. 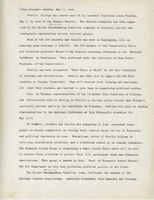 Oberlin College press release announcing the nature of its "Kent in Exile" function for the 200 Kent State students expected to arrive on campus that day, May 12, 1970. 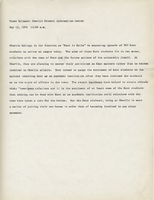 Two-page press release from Oberlin College announcing student and faculty activities in response to the tragedy at Kent State, and Oberlin College's designation as "Kent State in Exile" by the Ohio Coalition of Colleges and Universities. 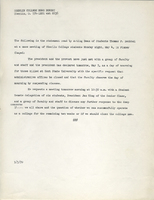 Press release announcing the statement read by Acting Dean of Students Thomas F. Bechtel at a mass meeting of Oberlin College students in Finney Chapel the night after the shootings at Kent State.